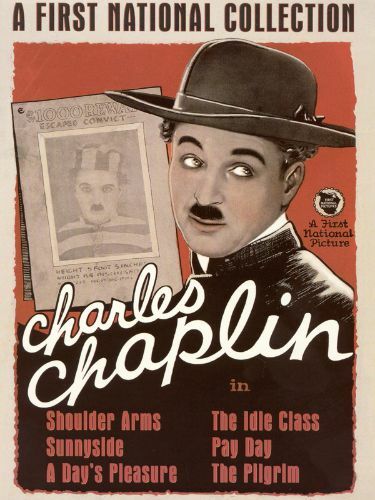 In the final film of his First National contract (an early working title was The Tail End), Charlie Chaplin spoofs small-town life and morality. 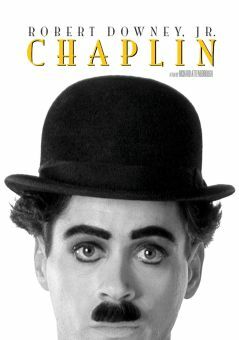 Chaplin is an escaped convict who steals the clothes of a swimming minister. At the railroad station he nearly gives himself away by guiltily running away from an eloping couple who want him to perform an impromptu wedding. He boards a train and travels to a small town, Devil's Gulch, Texas, where he is welcomed by his congregation, who have never met the new reverend they've been expecting. He meets the townsfolk and is enchanted by Edna Purviance, in whose house he will be boarding. Chaplin arrives just in time for church services and on the way he picks a liquor bottle from the pocket of a large Deacon, only to have it break when they both slip on a banana peel. The Deacon thinks that the spilled whisky has come from his pocket. The plucky fugitive goes along with the ruse and after seeing to the church collection, pitting one side of the congregation against the other in competition to see who contributes the most, he gives a wonderful sermon in pantomime -- the story of David and Goliath. His story is so effective that a young boy breaks into wild applause which Chaplin acknowledges with the aplomb of a seasoned theatrical. At the home of Purviance and her Mother, his impersonation is severely tested by a visit from a couple with a mischievous child, Dinky Dean Riesner. (In later recollections Riesner tells of how he had to be cajoled into punching and slapping his "Uncles" Charlie and Syd, something abhorrent to him in real life). A stroll with Purviance through town brings him face to face with a former cellmate, who is invited home for tea by the unsuspecting Purviance. During the visit he observes the hiding place of Mother's mortgage money and Chaplin valiantly but unsuccessfully tries to prevent the crook from stealing it. When the thief escapes, Chaplin gives chase, but the sheriff, by now aware of Chaplin's identity as an escapee, causes everyone to believe that the two are in league. Chaplin however, overpowers the crook and returns the money to Purviance. When the Pilgrim's true intentions are revealed, rather than arresting him, the sheriff escorts him to the Mexican border. He orders the fugitive to pick a bouquet of flowers. When Chaplin obeys, the sheriff boots him across the border and takes off, leaving him stranded between warring bandit factions on one side, and arrest as a fugitive on the other, slowly walking into the sunset with one foot in Mexico and the other in the USA.